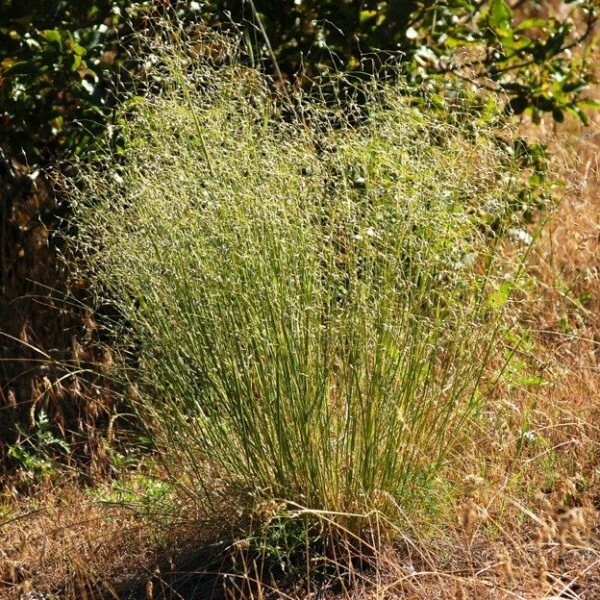 Perennial cool-season bunchgrass with very narrow, rolled leaf blades. 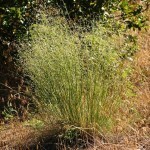 It is native to western North America east of the Cascades from British Columbia and Alberta south to southern California, northeastern Mexico, and Texas. In the wild it typically grows 10-60 cm (4-24") tall and 20-30 cm (8-12") wide. 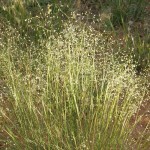 It grows in a variety of habitats from desert shrub up to ponderosa pine forests. It can live in soils from sand to clay, but it does particularly well in sand, where it is the dominant grass growing with sagebrush and may occur almost unmixed with other plants. 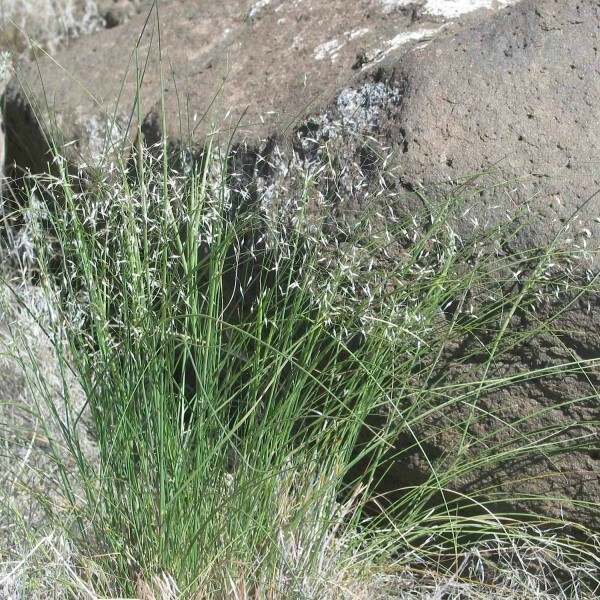 Indian ricegrass is an important food for livestock and for wild grazers such as bison, desert bighorn sheep, elk, mule deer, pronghorns, and jackrabbits. 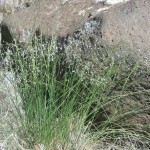 For some of these species it is especially vital in late winter, as it produces green shoots earlier than other grasses. The seeds are heavily consumed by many rodents and birds, notably mourning doves. 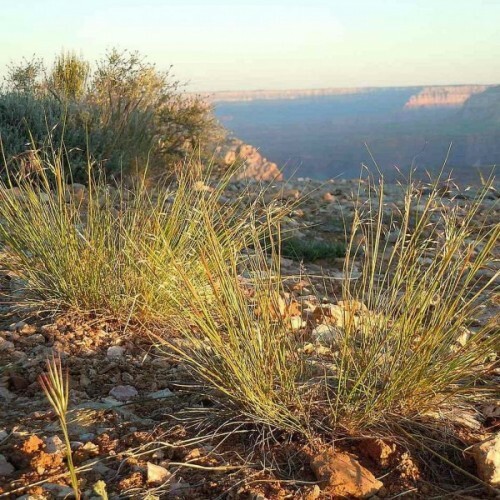 Indian Ricegrass can be planted in the midground of your landscape, used as a filler between larger shrubs, or used to soften the edges of a walk as a border plant. 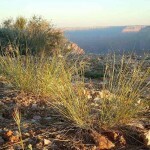 Planted in mass, they can be used to create a desert meadow or as added interest in a cactus or agave garden. Will self-seed into the landscape. Germination Cool moist startification for 30-45 days or plant outside in the fall 1-2 mm deep. Germination sometimes very prolonged. Be patient!